The Closest Thing To The Appomattox River !!! 39 River Street is Located in the heart of the Old Town Historic District in Petersburg, VA a unique and charming district just south of the Appomattox River noted for its historic buildings, restaurants, arts and tourist venues. River Street Lofts was converted from an old industrial era warehouse to Luxury Loft Apartments. River Street Loft has Beautiful Original Hardwood floors, Large historic windows, Stainless-Steel Appliances, Exposed brick wall, Electric AC/Heat, Ceramic Tile Flooring, Dishwashers, Off Street Parking. 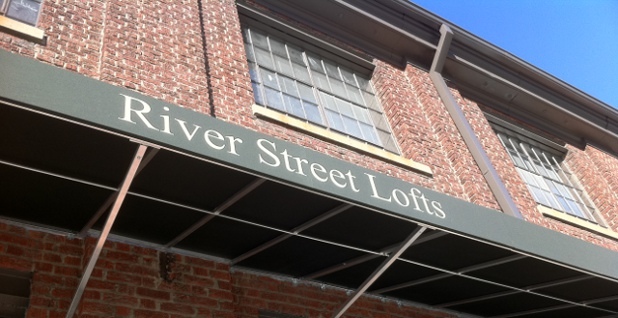 River Street Loft is just steps away from the Famed Croaker Spot Seafood Restaurant, The Brick House Run Pub, Maria's Cafe' the famous Sicilian Italian Cuisine, Longstreet's Delicatessen, Petersburg Farmer's market, The Sycamore Rouge Theater and within walking distance to more area attractions.